They were all talking about it. All the meteorologists that is. States to the north and west of us got hit hard and it was heading our way. During the wee hours of the morning, we had thunder, lightening, rain and wind. Fortunately though, it was mostly a lot of noise with somewhere between 1.5 – 2.0 inches of rain. We very much-needed the rain though, so it was very welcome. With my little anxiety attack over a possible Derecho behind me, life went on as usual. Homeschool, riding lessons, laundry, cooking, cleaning, yada, yada, yada. Then today we went on our weekly outing with the homeschool group. We so look forward to our weekly get-togethers. None of us know from week to week what we’ll learn and today was an awesome learning experience. 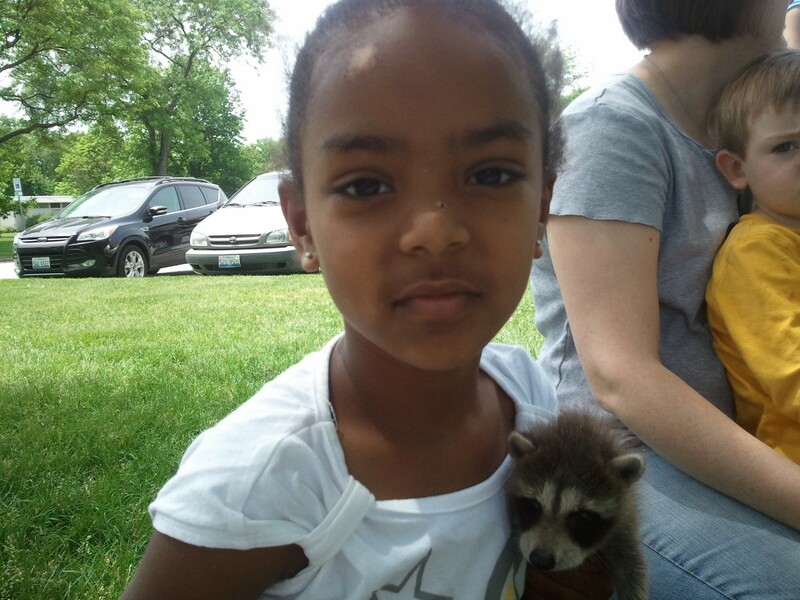 One of the families in our group took in two orphaned baby raccoons and the girls were in awe. Actually, Lili was a bit frightened. 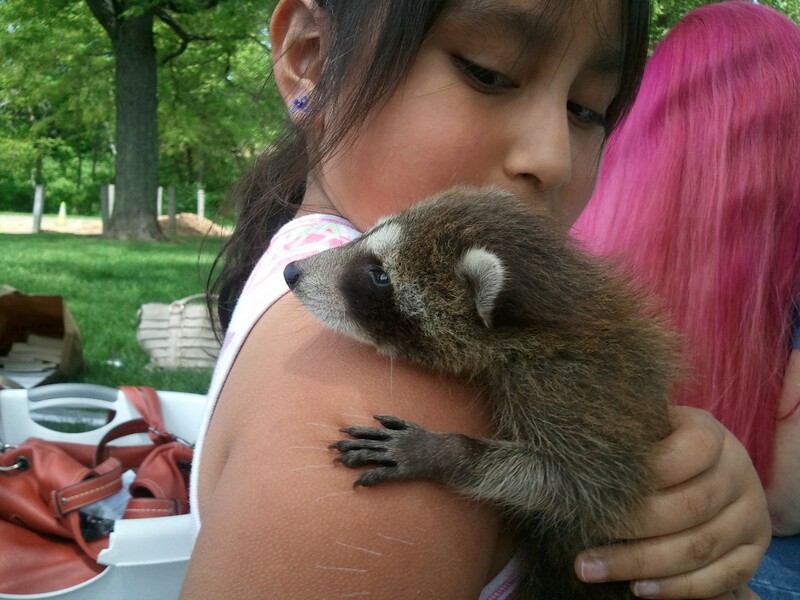 After all, they do have long sharp claws and he was trying to hold on to Lili just like he would mama raccoon. Naomi, on the other hand, couldn’t get enough of these babies. Typically it’s the other way around with my girls. They got to learn about feeding the babies, stimulating them to pee, and how to hold them. The kids went to the creek, caught minnows and fed them to the babies. Then it was time for the babies to leave. They will be going to a nature preserve and wildlife area to be cared for, but what a wonderful learning experience for the kids. It was a special treat and yet another reminder of how awesome it is to be a homeschool family. Glad to hear everyone is well! I hope whatever moved thru your area was more bark than bite too. We had a good rain and no damages! We have loved seeing all the videos of the little raccoons this week, and I am so happy they were finally able to find a caretaker for them. The babies were so cute. I need a raccoon! Oh wait, they like chickens. SO cute though! What a wonderful field trip!